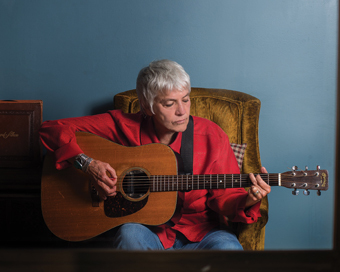 The holidays are fast approaching, and Cris Williamson is comin' to town for her annual December appearance at the Freight. This year, her special guest is the renowned wind and ocarina player, Nancy Rumbel. Together, they will present songs for everyone¹s holiday, a host of old favorites, and songs from the just-released double CD, Pray,Tell. Expect a few other pals to join in as well. Born in Deadwood, South Dakota, raised in the wilds of Wyoming and Colorado, Cris recorded her first album at the age of 16. In the early 1970s, she inspired the founding of Olivia Records, and helped create an audience for women's music with her classic album The Changer and the Changed. Since then, she's gone on to make 30+ albums and perform with such artists as Meg Christian, Tret Fure, Teresa Trull, Barbara Higbie, Holly Near. As an advocate for Native Americans, she performed with Bonnie Raitt, Jackson Browne, Floyd Westerman, and John Trudell on the Water for Life Tour. For Cris, the music has always been a vehicle for something larger, the art of the possible, the song of the soul. Experience the soulful spirit of Cris Williamson and Friends in concert at the Freight.